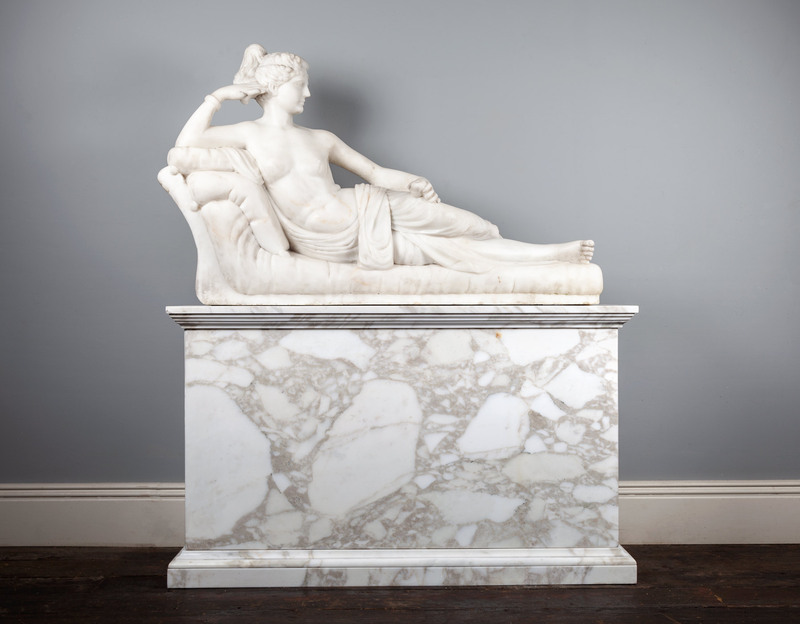 The reclining figure beautifully carved in white statuary marble and raised on a Arabscato Carrara marble plinth. 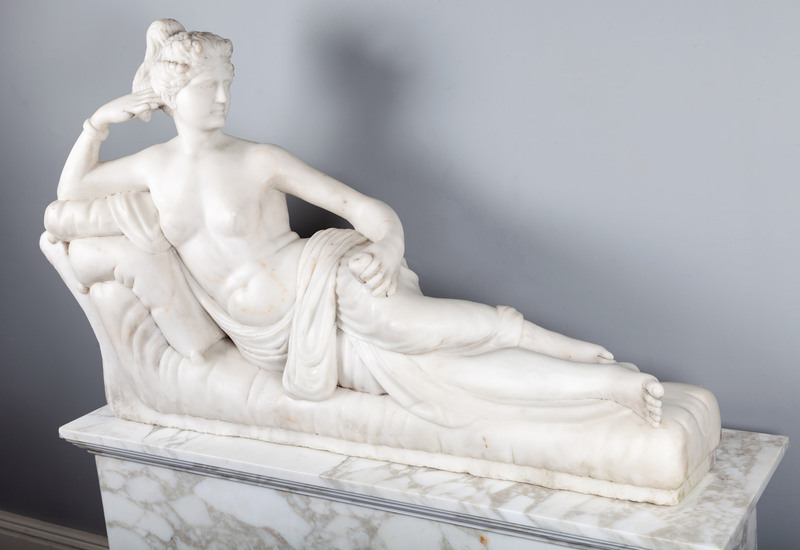 Reviving the ancient Roman artistic traditions of portrayals of mortal individuals in the guise of the gods, and of the beautiful female form, reclining on a couch (as most often seen in reclining portrayals of Hermaphroditi). 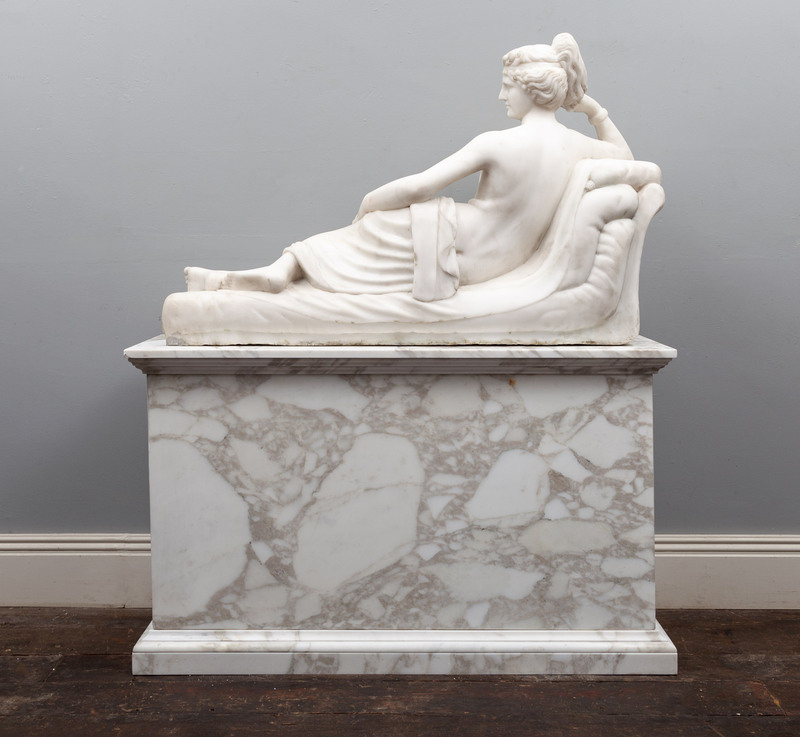 It was commissioned by Pauline Bonapart’s husband Camillo Borghese and executed in Rome from 1805 to 1808, after the subject’s marriage into the Borghese family. It then moved to Camillo’s house in Turin, then to Genoa, only arriving in its present home the Galleria Borghese in Rome around 1838.